It’s difficult to build a functional mini-drone. Often they lack battery life, or they’re difficult to control. 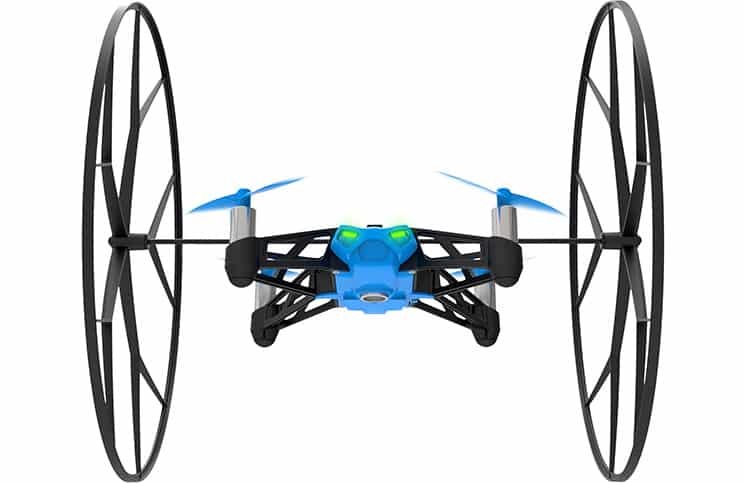 Last year Parrot released their Rolling Spider, a fun toy that could be controlled with an iPhone app. While it was fun to play with, there were still issues that plague smaller flying drones. It had low life battery issues, and only the most basic of features. This year Parrot has made another try, and a new line of Parrot mini drones are ready for summer. The questions in many people’s minds are whether these new mini drones are an improvement over the Spider, or are they still expensive toys? The new line of Parrot drones is called “Airborne”. Like the Spider—which has since been discontinued—these new drones fit in your hand. Each of these new models features a three-axis accelerometer and gyroscope to keep them stabilized in the air. 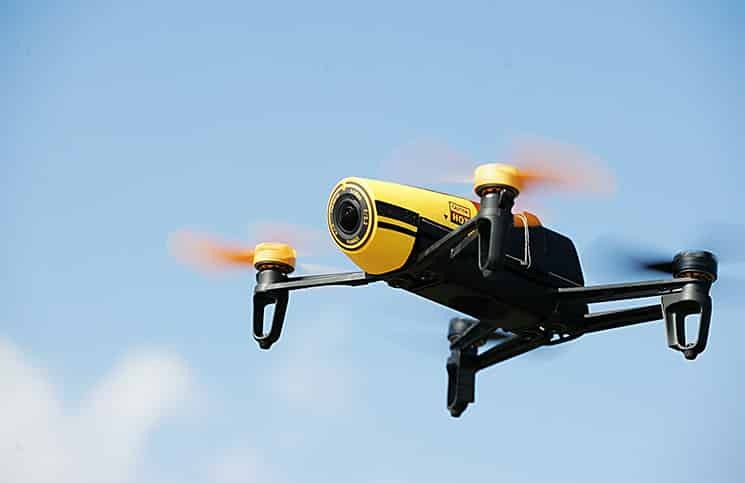 These features are essential in these smaller drones. Other features in the drones include a downward still camera, and an ultrasound sensor that gauges the drone’s altitude positioning. The Airborne drones are controlled by Bluetooth and the Freeflight 3 app for Android and iOS. Both drones can fly for up to eleven miles per hour. Each drone has protective rims around their four revolving blades. There are two different types of Airborne drones to choose from. You have your choice of five colors. The Airborne Night drone has LED lights which are perfect for night-time flights. The Airborne Cargo model can actually air-lift blocks and other small objects around the air. Like with the Parrot Spider, battery life is still an issue with the Airborne Night and the Cargo drones. One charge will give you nine minutes of flying time. This means you’ll have just gotten started with your fun, and then you’ll be abruptly interrupted by having to bring it in for a landing. They do charge quickly though. With an additional purchase of the 2.6 amp charger, you can charge up completely in 25 minutes. That’s great when at home, but not on the field. Another shortcoming with the tiny Parrot drones is that they don’t shoot video, only still photos. Considering that other competitors manage to have video in their smaller drones, this is a disappointment, particularly with such a pro brand such as Parrot. And there is only one gigabyte of photo storage, so don’t expect magazine-quality photos. You can purchase the Parrot Hydrofoil for your Airborne drones. The hydrofoil travels at 6 mph, and runs a couple of inches above the water. You have to manually detach if you wish to fly your drone through the air. The Parrot Jumping Night and Jumping Race are a set of drones with wheels that travel over land. These drones are the only new Parrot drones that can actually film video. 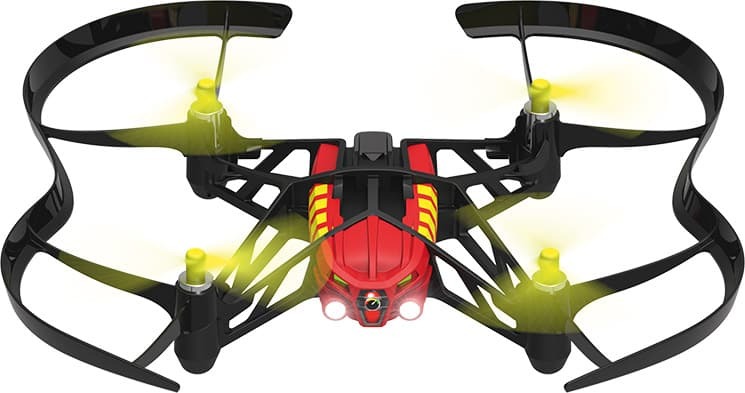 If you’re seeking fun new toys, Parrot delivers with their range of new mini drones. But don’t expect to be using these for commercial purposes any time soon.